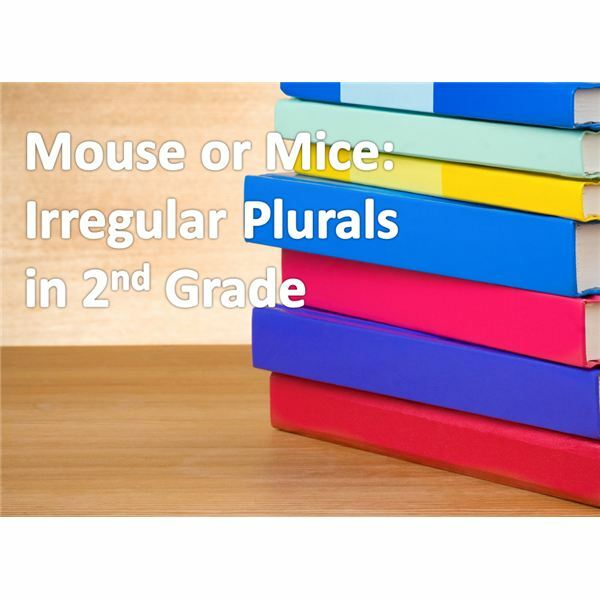 Form and use frequently occurring irregular plural nouns. By now, your students should be able to identify nouns in a sentence. They know a noun is a person, place or thing. Even though nouns may be easy to identify, knowing how to make them into plural nouns can be tricky. There seems to be more exceptions than rules! Do you add s or es? Change the f to a v and add es? Change a y to an i and add ies? Some nouns just stay the same for singular or plural like fish or deer. So many rules. White board/chalk board or similar device placed where all students can see. Copies of downloadable worksheet. Available here. 1. Gather the students close to the white board. Begin by explaining that some nouns have plural forms that do not follow any rules. You just have to learn them the way they are. Write one of the words. Let’s say it is the word man. Say: Here is the word man. It means one man. If we have more than one man, we use the word men. How has the word changed? Continue this procedure with each of the nine words listed above. 2. Leave the words on the board for students to use as a word bank as they complete the worksheet. Mastering the spelling of irregular nouns is not something to be achieved in one lesson. Revisit the objective throughout the year. Add a pair of words (singular and plural) to your weekly spelling list. With a partner, find as many of the singulars or plurals in the newspaper. For a center activity play a memory game matching the singular word with the plural form. Write the pairs of words using an orange crayon for the vowels in each word. Write a sentence for each word. Underline the word. Write a seasonal paragraph or story using four of the words. Play the familiar “Sparkle" game: Students form a circle. The teacher reads one spelling word aloud. (In this case, you could say the singular form and students must spell the plural form.) One student is chosen to start the word, saying the first letter of the word. Then it goes clockwise having each student say the next letter of the word. Then the next student sits down. If a student says the wrong letter, they are out of the game and must sit down. The last student standing wins. Sabga M.A.Ed,Shelly Galloway. The Everything Kids’ Spelling Book. Adams Media, 2009.